The following Terms and Conditions (the "Terms") govern the Purchaser’s use of https://victorieum.io (the “Website”) and the purchase of Victorieum Token created by Vic Waves Corporation., a Belize International Business Company with registration number 171438 IBC 2018 (the “Company”). The Purchaser and the Company may be referred to herein individually as a “Party” and collectively as the “Parties”. By accessing and using the Website or purchasing Victorieum Token (VTM), the Purchaser agrees to comply and be legally bound by these Terms. These Terms do neither represent nor constitute in any way a solicitation for investment . IMPORTANT DISCLAIMER: BY PURCHASING VICTORIEUM TOKEN, THE PURCHASER ACKNOWLEDGES THAT HE/SHE HAS FULLY READ, UNDERSTOOD AND AGREED TO THESE TERMS, AND THAT HE/SHE HAS THE NECESSARY LEGAL CAPACITY TO COMMIT HIMSELF/HERSELF TO THE OBLIGATIONS STATED IN THESE TERMS. IF THE PURCHASER DOES NOT AGREE WITH ANY OF THE PROVISIONS OF THESE TERMS, THE PURCHASER SHALL NEITHER PURCHASE VICTORIEUM TOKEN, NOR USE THIS WEBSITE OR SERVICES OFFERED ON THE WEBSITE. PRIOR TO PURCHASING VICTORIEUM TOKEN, THE PURCHASER SHOULD CAREFULLY CONSIDER THESE TERMS AND IF NECESSARY, GET ADVICE FROM AN APPROPRIATE LAWYER, ACCOUNTANT, OR TAX PROFESSIONAL. VICTORIEUM TOKEN WILL NOT BE AVAILABLE FOR SALE TO THE CITIZENS OR RESIDENTS OF THE USA OR ANY OTHER COUNTRY WHERE TRANSACTIONS IN RESPECT OF, OR WITH USE OF, DIGITAL TOKENS FALL UNDER THE RESTRICTIVE REGULATIONS OR REQUIRE FROM THE COMPANY TO BE REGISTERED OR LICENSED WITH ANY GOVERNMENTAL OR LICENSING AUTHORITY. The Company is conducting an initial token sale for funding further development of token-based accounts, Victorieum offshore bank, crypto wallet (“VICTORIEUM CRYPTO WALLET”) and crypto exchange (“VICTOIEUM EXCHANGE”) that are described in more detail in Victorieum Whitepaper. Both Victorieum crypto Wallet and Victorieum Exchange will be managed and monitored by a separate legal entity that will be registered and licensed in Malta. 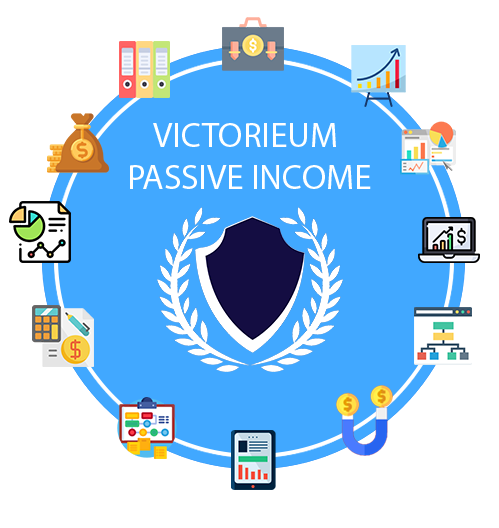 Operations of Victorieum crypto Wallet and Victorieum Exchange will depend on existence and circulation of Victorieum token that will have attributes of discount on Victorieum crypto Wallet and Victorieum Exchange services and an internal payment unit. Victorieum will give their holders discount rights and access to services and products as outlined in these Terms. The Company issued in total 1,000,000,000 Victorieum tokens(VTM). 76.5% of issued and created will be available for crowdsale. No further Victorieum token will be created and issued and all unsold Victorieum tokens will be burnt and will not be in circulation. In order to participate in the Initial Victorieum token Sale, the Purchaser must have a wallet that supports ERC20 tokens. The Purchaser is solely liable for issues arising from the use of a non-compatible system or wallet. Victorieum token bought by the Purchaser will be sent to his/her Ethereum-based personal account/wallet. Purchasers shall be responsible for implementing reasonable measures for securing their wallets, including any requisite private keys or other credentials necessary to access such storage mechanism. If the Purchaser loses private keys or other access credentials, the Purchaser may lose access to Victorieum token bought. The Initial Sale of Victorieum token launches on the 20th of Oct 2018 and shall run until the 20th of Jan, 2019 as described in the Victorieum Whitepaper. 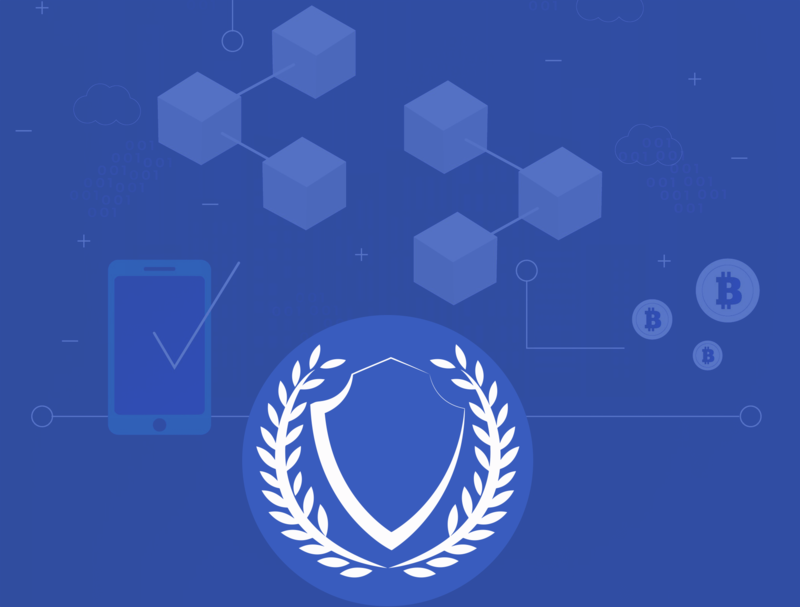 The dates of the Initial Victorieum token Sale may be changed or the duration of the Victorieum token Sale may be extended for any reason, including the unavailability of the website https://victorieum.io or other unforeseen security or procedural issues. The private presale will be conducted from 20 of Oct 2018 till 04 of Nov 2018. During the presale, the price of 1 VTM will be $0.01 or its equivalent in another fiat or crypto currency that will be automatically converted at the prevailing exchange rate at the time of purchase. The Purchaser shall buy minimum 100.000 VTM token. The first will be conducted from 05 of Nov 2018 till 20 of Nov 2018. During sale, the price of 1 VTM will be $0.06 or its equivalent in another fiat or crypto currency that will be automatically converted at the prevailing exchange rate at the time of purchase. The Purchaser shall buy minimum 500 VTM token. 3. Second Stage 100,000,000 VTM token. The first will be conducted from 21 of Nov 2018 till 06 of Dec 2018. During sale, the price of 1 VTM will be $0.09 or its equivalent in another fiat or crypto currency that will be automatically converted at the prevailing exchange rate at the time of purchase. 4. Third Stage 100,000,000 VTM token. The stage will be conducted from 07 of Dec 2018 till 22 of Dec 2018. During sale, the price of 1 VTM will be $0.12 or its equivalent in another fiat or crypto currency that will be automatically converted at the prevailing exchange rate at the time of purchase. 5. Fourth Stage 100,000,000 VTM token. The stage will be conducted from 22 of Dec 2018 till of 05 Jan, 2019. During sale, the price of 1 VTM will be $0.16 or its equivalent in another fiat or crypto currency that will be automatically converted at the prevailing exchange rate at the time of purchase. 6. Fifth Stage 100,000,000 VTM token. The stage will be conducted from 05 of Jan 2019 till 20 of Jan 2019. During sale, the price of 1 VTM will be $0.21 or its equivalent in another fiat or crypto currency that will be automatically converted at the prevailing exchange rate at the time of purchase. The Company reserves the right to conduct “Know your customer” and/or “Anti-money laundering” checks and procedures on the Purchasers if it becomes required by the applicable laws. The Purchaser undertakes to provide all the information requested by the Company in respect of conducting KYC or AML checks/procedures. In the event that the Purchaser fails or refuses to provide the specific and necessary information requested by the Company in due time, the Company shall have the power to terminate the Purchaser’s rights to use the Website and the power to stop providing services to that Purchaser without any obligation from the Company to refund or indemnify the Purchaser. The Company makes no representations or warranties, whether express or implied, and assumes no liability or responsibility for the proper performance of any services, online cryptocurrency services, assets or platforms and/or the information, images or audio contained or related to the VTM Project. The Purchaser uses all of these services including but not limited to the Website services, online cryptocurrency services, assets or platforms at his/her own risk. The Purchaser agrees not to hold the Company, including its affiliates, directors, employees, agents, contractors and service providers, liable for any losses or any special, incidental, or consequential damages arising from, or in any way connected to the sale of VTM including losses associated with these Terms. By accepting these Terms, the Purchaser guarantees that he/she is neither resident nor citizen of a country whose laws and regulations ban or limit the purchase and/or use of cryptographic coins. The Purchaser represents and warrants that the Purchaser has an understanding of the usage and intricacies of blockchain-based assets, like VTM, and blockchain-based software systems. The Purchaser represents and warrants that he/she is aware of all the merits, risks and any restrictions associated with cryptographic coins, cryptocurrencies and blockchain-based system, and that he/she is knowledgeable as to their management. The Purchaser further represents and warrants that he/she will take sole responsibility for any restrictions and risks associated with the purchase of VTM. The Purchaser understands and accepts that VTM do not have any rights, uses, purpose, attributes, functionalities or features, express or implied, outside VTM Project. The Purchaser understands and accepts that purchase and possession of VTM shall not give/grant the right to the Purchaser to exercise any control over the Company or other aspects of VTM Project. The Purchaser represents and warrants that the Purchaser is of legal age to buy VTM. The Purchaser represents and warrants that the Purchaser is legally permitted to buy VTM in the Purchaser’s jurisdiction. The Purchaser accepts and warrants that he/she bears a sole responsibility for determining if the acquisition,allocation, use or ownership of VTM, potential appreciation or depreciation in the value of VTM over time, the sale and purchase of VTM and/or any other action or transaction related to VTM has tax implications. The Purchaser represents and warrants that the Purchaser is not buying for VTM for the purpose of speculative investment. The Purchaser acknowledges and accepts that VTM are purchased on an “as is” and “under development” basis. Therefore, provided the Company acts in good faith, the Purchaser accepts that the Company is providing VTM without being able to provide any warranties, including, but not limited to title, merchantability or fitness for a particular purpose. The Purchaser warrants and represents that he/she fully agrees with all the information related to VTM, whether provided in these Terms, in the Whitepaper or in any other documentation or information made available by the Company. The Purchaser warrants and represents that he/she shall comply with all the provisions set out in both these Terms and Whitepaper, in addition to any other documents published by the Company in connection with the Initial VTM Sale. The Purchaser understands and accepts that the Company does not guarantee that VTM will be listed or traded on any exchange. The Purchaser understands and accepts that the Company does not guarantee that the VTM will hold its value or increase in value in the future. The Purchaser warrants and represents that he/she does not intend to hinder, delay or defraud the Company or any other Purchasers of the Website, as well as that the Purchaser’s participation in the Initial VTM Sale is not connected to engaging in any illegal conduct and/or unlawful activity. The Purchaser further undertakes not to use VTM should their use not be legal in the applicable jurisdiction. The Purchaser warrants and represents that any and all information provided in connection with his/her participation in the Initial VTM Sale is accurate, up to date and complete, and that it does not impinge on the rights of any third party. The Purchaser undertakes to notify the Company should any of the information provided in relation to the participation in the Initial VTM Sale changes, becomes outdated or is no longer accurate or complete. The Purchaser shall be fully responsible for ensuring that any credentials or information linked to the participation in the Initial VTM Sale remain confidential and are not used by any third party. The Purchaser warrants that he/she shall neither misuse the Website by knowingly introducing viruses, worms, logic bombs or other material which is malicious or technologically harmful, nor attempt to gain unauthorised access to the Website, computer or database connected to the same, nor violate or attempt to violate the security of the Website, nor access information or data to which he/she has not been expressly granted a right to access. The Company warrants that it has taken all necessary measures, within its reasonable control and the state of the art, in order to guarantee the proper functioning of the Website and to minimize system errors, both from a technical point of view and material published, as well as to prevent the existence and transmission of viruses and other harmful components to the computer systems of Purchasers; however, the Company does not guarantee that the Website shall be fully exempt of errors, failures or malign components (of any nature) at all times. The Company does not guarantee the lawfulness, reliability and usefulness of the contents supplied by third parties through the Website. If any Purchaser becomes aware of the existence of any content that is illegal, unlawful or infringing of the rights of third parties, he/she shall immediately notify the Company so that we can proceed with the adoption of appropriate measures. By purchasing VTM, the Purchaser acknowledges that the Company, including its affiliates, directors, employees, agents, contractors and service providers, is not required to provide a refund for any reason, and that the Purchaser is not entitled to receive money or any other form of compensation for any VTM that are not used or not suitable for their intended purpose. Neither the Purchaser nor the Company, including its affiliates, directors, employees, agents, contractors and service providers, shall be held liable towards the other party for any failure to perform any obligation, if such failure is caused by circumstances beyond the reasonable control of either the Company or the Purchaser failing to fulfil its obligations. For the purpose of these Terms a force-majeure shall include, but not limited to lightning, flood, exceptionally severe weather, fire, explosion, war, civil disorder, industrial disputes, acts or omissions of persons for whom we are not responsible, acts of government or other competent authorities (including telecommunications and internet service providers). The Purchaser indemnifies and holds the Company, including its affiliates, directors, employees, agents, contractors and service providers, harmless against all and any losses, liability, actions, suits, proceedings, costs, demands and damages of all and every kind, (including direct, indirect, special or consequential damages), and whether in an action based on contract, negligence or any other action, arising out of or in connection with the failure or delay in the performance of the VTM Project, whether due to the Company’s, including its affiliates, directors, agents, contractors and service providers, negligence or not. Subject to any Applicable Laws and Regulations, the Purchaser agrees that the Company shall not be liable for any costs, claims, damages (including, without limitation, indirect, extrinsic, special, penal, punitive, exemplary or consequential losses (such as loss of profits, business, goodwill, revenue or anticipated savings) or damage of any kind), penalties, actions, judgments, suits, expenses, disbursements, fines or other amounts that you or any third party might suffer that relate to or arise from these Terms or purchase and use of VTM, or termination of these Terms, for any reason, whether or not anyone anticipated or should have anticipated that the damages would occur. Subject to any Applicable Laws and Regulations, the Purchaser shall not have any claim of any nature whatsoever against the Company for any failure by the Company to meet any of the Company’s obligations under these Terms as a result of causes beyond the Company’s control. Subject to any Applicable Laws and Regulations, the Purchaser agrees to indemnify and hold the Company harmless in respect of any claim that a third party might bring against the Company that relates to or arises from these Terms or purchase of VTM. - any other matter relating to the Website and to any of the services and goods available through the same. The Purchaser acknowledges and accepts that cryptocurrencies are volatile and a fluctuating good based on technology and a supply and demand model, and therefore, the Company shall not accept any liability for any depreciation of VTM and any losses that the Purchaser may suffer as a result. The Company shall not be held liable for, the accuracy, usefulness or correctness of all information and documents published on the Website. The Company does not guarantee that VTM are reliable or error-free. The Purchaser shall indemnify, defend and hold the Company, including its subsidiaries, affiliates, directors, officers, employees, agents, representatives, assignees and successors, harmless from and against any and all claims, damages, losses, actions, demands, proceedings, expenses and/or liabilities filed or incurred by any third party against the Company arising out of a breach of any warranty, representation or obligation under these Terms. These Terms set forth the entire understanding between the Purchaser and the Company with respect to the purchase and sale of VTM. If any term, covenant, condition, or provision of these Terms shall be invalid, illegal or unenforceable in any jurisdiction shall, as to such jurisdiction be ineffective to the extent of such invalidity, illegality or unenforceability without affecting the validity, legality and enforceability of the remaining terms and conditions; and the invalidity of a particular provision in a particular jurisdiction shall not invalidate such provision in any other jurisdiction. The Purchaser agrees that these Terms govern the sale of VTM and supersede any public statements about VTM sale made by third parties or by VTM Team or individuals associated with the VTM Team, before and during VTM Sale. The failure of the Company to require or enforce strict performance by the Purchaser of any provision of these Terms or the Company’s failure to exercise any right under these Terms shall not be construed as a waiver or relinquishment of the Company's right to assert or rely upon any such provision or right. The express waiver by the Company of any provision, condition, or requirement of these Terms shall not constitute a waiver of any future obligation to comply with such provision, condition or requirement. Except as expressly and specifically set forth in these Terms, no representations, statements, consents, waivers, or other acts or omissions by the Company shall be neither considered as an amendment of these Terms nor be legally binding. The Company reserves the right to amend these Terms and Conditions at any time with immediate effect by publishing the updated Terms and Conditions on the Website. All such changes will take effect once they have been posted on the Website and the User will be deemed to have accepted any such changes by the User’s use of the Website from such time. The Company reserves the right, at its sole discretion, to change, modify, add, or remove parts of the Whitepaper and/or Terms at any time during the Initial VTM Sale by posting the amended versions of the Whitepaper and/or Terms on the Website. The Purchaser acknowledges and accepts that these Terms are subject to changes, modifications, amendments, alterations or supplements at any time, which will be effective immediately upon publication on the Website. The new and amended Terms shall apply to any purchase of VTM made by the Purchaser after the new Terms have been published. The Purchaser agrees to be bound by any such update or change if the Purchaser continues to use the Website and/or purchase and hold VTM. - changes in Applicable Laws and Regulations, if any regulatory authority requires to make changes to these Terms or any aspects of VTM Project or the Company’s business practices in terms of Applicable Laws and Regulations. - seek to bypass or interfere with any security features of the Website, or interfere with any ofthe Company’s websites, servers, or networks. The Company reserves the right to suspend, restrict or terminate the Purchaser’s access to this Website at any time without notice, at the Company’s discretion, if the Company has reasonable grounds to believe the Purchaser has breached any of the restrictions above. The Company may, at its sole discretion, restrict access to some parts of this website, or the entire website, to limited groups of Purchasers. The Company is the sole owner of the rights and titles over the Website and any and all of its contents and information provided, used or published, including, but not limited to, the website itself, texts, photographs, illustrations, logos, trademarks, graphics, designs, interfaces, software, technology, and any other information or content, and the services available through the Website. The Purchaser acknowledges that all intellectual property rights over the contents of the Website are vested in the Company. It is expressly forbidden to modify, copy, reproduce, publicly communicate, transform or distribute, through any means, all or part of the contents published on the Website without the prior, written and express consent of the Company. By accessing the Website, the Purchaser is granted the right to use the content published and available on the Website solely for the purposes of participating in the Initial VTM Sale and limited to a personal and non- commercial use by the Purchaser. It is strictly forbidden to use any trademarks, trade names or similar distinctive signs included or referred to on the Website, whether owned by the Company or any other third party, without the Company’s or the relevant third party’s consent. The Purchaser shall not use any of the Company’s intellectual property for any reason without Company’s prior written consent. any interruption, malfunction, downtime or other failure of services provided by third parties, including, without limitation, third party systems such as the public switched telecommunication service providers; internet service providers, electricity suppliers, relevant local authorities and certification authorities; or any other event over which the Company has no direct control. The Purchaser shall take proper measures to protect his/her personal wallet keys, without which the Purchaser will not be able to access his/her personal wallet and use VTM, which have been purchased during the Initial VTM Sale. The Purchaser expressly acknowledges that he/she understands, accepts and agrees that the Company, including its affiliates, directors, employees, agents, contractors and service providers, will not be required or able to re-issue the keys to access his/her personal wallet. The Purchaser further accepts and agrees that without the required keys and login details the Purchaser’s VTM will be inaccessible and considered as unusable. The Company will not be liable to refund the Purchaser due to this failure from the Purchaser’s side. The Purchaser agrees that the Company may communicate with, and/or otherwise provide notifications to the Purchaser, via email and other forms of electronic communications, by sending a paper document, or by posting on the Website. Only English versions of any EO Team communications shall be considered official communications of the Company. In case of any differences the English version of any communications as well as these Terms shall prevail. Any matters arising from these Terms and Conditions, shall be governed by and interpreted in accordance with the laws of Belize. If a dispute arises between the Purchaser and the Company, the Purchaser is strongly encouraged to first contact the Company directly to seek amicable resolution. The courts of Belize will have exclusive jurisdiction to settle any disputes which may arise out of or in connection with these Terms or use of the Website. It is a deep regret for us to announce an early closure of our ICO sale. We would also like to add that this discontinuation is totally temporary and the sale will resume on the 20th of January, 2019. As for the reason for this interruption, we hope that the community is aware of the current crypto market state. The market lacks stability and there is little reason in continuing an ICO sale in such an unstable market. However, we will be accepting funds from private investors through other modes of payment. Again, we appreciate the huge support from the community and regret the inconvenience caused by our decision. A full service Offshore Bank for cryptocurrency traders, investors, and enthusiasts is Victorieum’s one of many key features. Our team strongly believes in Blockchain technology and future of cryptocurrencies. Victorieum Offshore Bank will fully support all the cryptocurrencies and blockchain transactions for its stakeholders. We believe in delivering value to our users and stakeholders. And so, Silver, Gold, and Platinum Token holders will receive free Debit card or credit card that can be used on the Victorieum platform and the bank. Victorieum’s unique loan lending feature will facilitate its users to avail instant loans against crypto assets. Forget about lengthy bureaucratic procedures and complications. Borrowers just need to fill an application, follow 4 simple steps, and Victorieum’s finance department will approve it within 24 hours. We are bringing the power of crypto-financing for everyone. Victorieumex has been designed to override the current cryptomarket limits. With its next generation dynamic architecture, Victorieum Exchange ensures that the users are always guaranteed to experience seamless platform performance. Trust, speed, scalability and high-performance are what defines this new-age crypto-exchange. With its next generation cryptocurrency, Victorieum Token, the platform aims to outrun the present day crypto-market limits. Victorieum platform’s high-level architecture makes sure that speed and stability are always at priority. We are revolutionizing the centralized finance market with the amazing blockchain technology. Victorium token is just the first step towards the grand roadmap of crypto-economy. As the platform advances, state-of-the-art financial tools for crypto-payments, exchanges, banking, and financial services will be available for its customers. To us, Customer comes first! 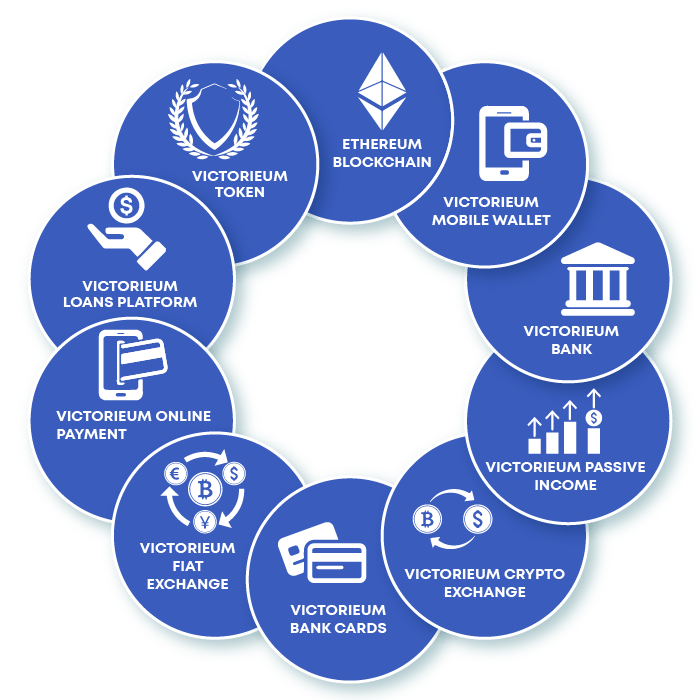 Victorieum assures its customers with unmatched performance, security, features, and extremely low transaction fee. Our platform has been built intuitively keeping in mind the end user. Performance and value delivery form our key focus areas. Victorieum platform is based on blockchain technology that translates into a Trust-based Fraud-resistant architecture. The design is such as to offer maximum convenience to the users along with lightning-fast speeds. Victorieum is a fully licensed crypto-bank and exchange, offering Low-to-zero fees to its customers worldwide. Discover crypto-financing & Banking, the economy of the future. Watch the following video now! Silver , Gold , Platinum depending on how many tokens the users hold. Victorieum is bound to grow along the following pathway. Checkout our Project Roadmap. 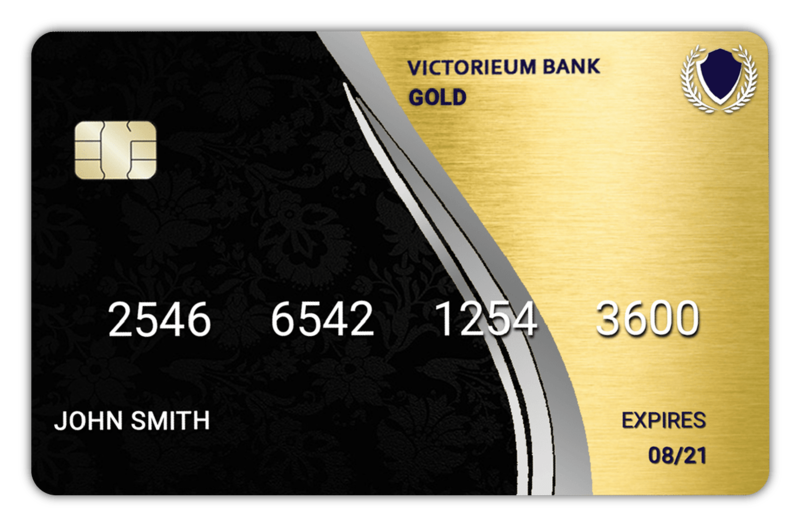 Victorieum’s Digital Wallet app will ensure hassle-free crypto transactions for the users. Pay, receive and store any digital coin! You can access your digital Victorieum wallet via our seamless App through mobile device or a computer. Install the app on your smartphone or just access it online via the cloud network. Crypto traders and investors can now use digital currency with ease without worries. Victorieum’s ultra-secure design and outrunning performance ensures that users get an unmatched experience. Victorieum is not just ‘another’ crypto platform. 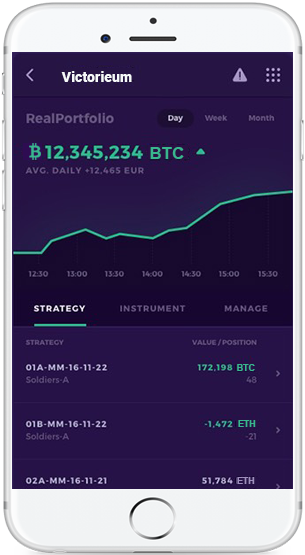 It is a versatile tool for trading, investing, exchanging, and banking crypto assets, combined with end-to-end financial services. Get answers to general queries related to ICOs and Project Victorieum.  What are the objectives of this token? It is a non-fiat currency that can be invested and traded against other fiat and non-fiat currencies. Swift international payments and crypto-transactions via MT103 technology. Usage of the token fuels growth of the Victorieum platform. Can be used at Victorieum Crypto-Exchange. Can be used for availing crypto-backed loans. What is Token Sale and pre-sale? Token Sale is a campaign whereby investors can invest in a new cryptocurrency. In our case, the currency will be Victorieum Token. We will build a Smart Contract, and generate tokens with a limited supply. During the campaign, early investors can buy tokens at a fixed bonus and discount. As the campaign progresses, you can still buy the Victorieum tokens, but with gradually decreasing discount rate. Get answers to the queries related to token pre-sales here! Pre Sale of the tokens simply means the crypto-tokens available for sale before the actual ICO campaign launch. Pre-sales of Victorieum tokens will run for a limited time with special discount rates and bonuses for the early adopters. When does the Pre-sales start? How may I take part in the Pre-sale? Upon the declaration of Pre-sale ICO date, you can buy Victorieum Coins via this website easily. Following is the depiction of Victorieum Tokens allocation/distribution. 10% Investment portfolio in blockchain technology and financial products. The total supply of the tokens will be 1 Billion. 1. Lock your token for three months and receive 15% monthly from net profit. 2. Lock your token for six months and receive 20% monthly from net profit. 3. Lock your token for nine months and receive 25% monthly from net profit. 4. Lock your token for twelve months and receive 30% monthly from net profit. We can be reached easily! Fill the contact form below.